Prevention is better than cure, slowdown skin ageing now! "I wanna look like I'm 35 when I'm 50!" I've started to pay more attention to taking care of skin in the recent years as I start to grow older in age. Also, due to the frequent sun exposures and make up wear, I have started to notice my skin "ageing" . YES! I know I'm only 22 this year, and although to many, 22 is still a relatively small number when it comes to a woman's age. But that doesn't mean we don't have to take care of our skin and prevent/slow down the process of skin ageing. So apart from the usual sun protection, moisturising and proper cleansing, having anti-premature ageing ingredients in your skincare products is one sure way to provide your skin with an all-around treat. 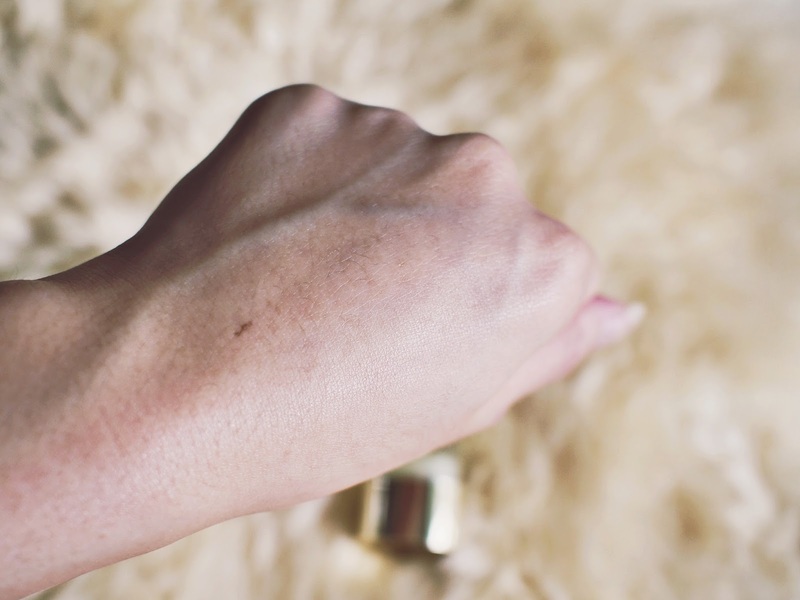 They say that the route to having young, elastic, supple and bouncy skin is a journey, and I cant agree enough! Even though you are not seeing signs of ageing on your skin yet, your skin will definitely thank you in time to come. I fell in love with the gold packaging at first sight! Not only does it look super sleek on my vanity, the bottles are also made of really awesome quality. 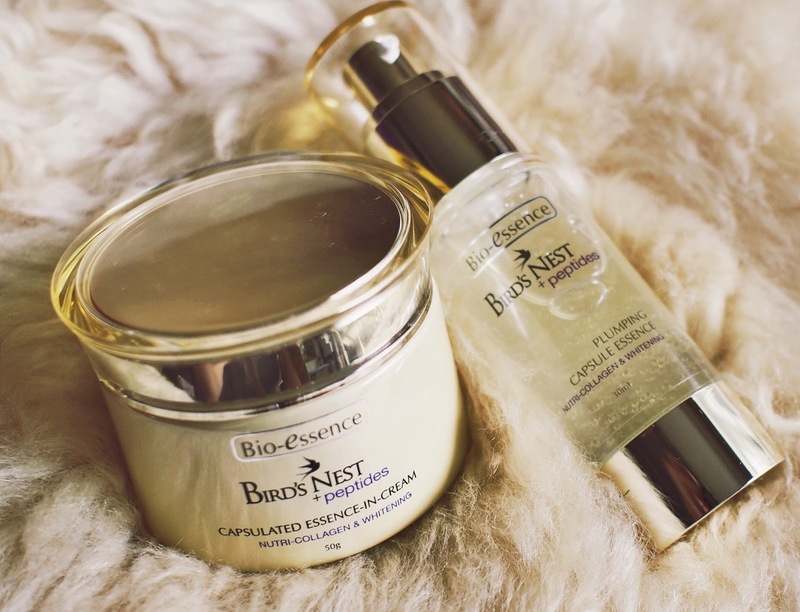 The new Bio-essence Bird's Nest series now has Peptides infused in them. Peptides are basically molecular links of amino acids prompts your skin for self-renewal and repair. The Bio-Whitening Peptides found in the Bio-essence Plumping Capsule Essence & Essence in-cream are made up of a chain of 9 amino acids. Applying Bio-Whitening Peptides on your skin actually reduces the amount of Melanin produced, resulting in fairer, brighter skin and less pigmentation. Studies have shown that tanned-skin people have higher levels of Melanin in their skin, which gives them a darker skin colour. So yes, more Bio-Whitening Peptides please! After cleansing and toning, apply 1 pump of Bio-essence Plumping Capsule Essence all over. On top of the Bio-Whitening Peptides, the essence contains Collagen Capsule Essence that is rich in collagen. This essence is really lightweight, liquid and as you can see, very easily absorbed into the skin. 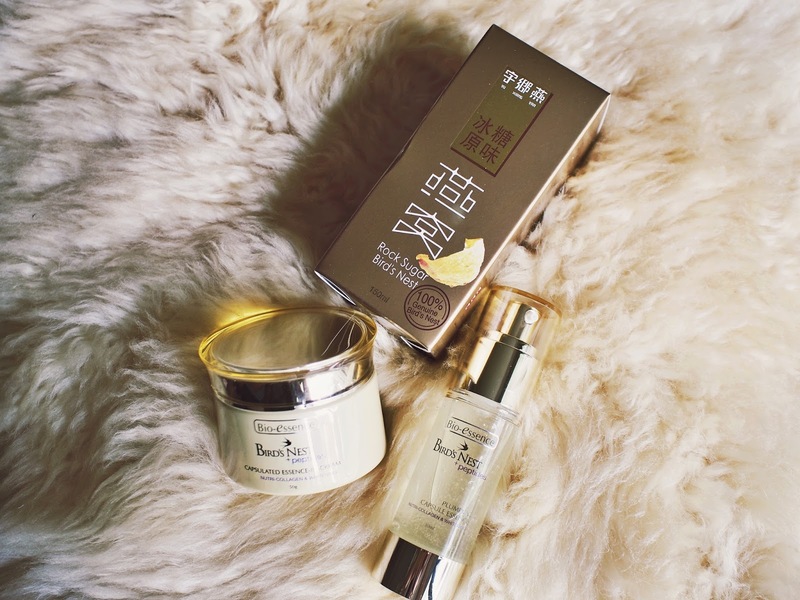 It has effectively helped moisturise my skin and I noticed that the dry patches around my mouth and chin area have reduced significantly after using these products! Collagen is another ingredient that does wonders for our skin. It does not only provide our skin with the nourishment and hydration it needs, it also effectively plumps up the skin, leaving it tender and elastic and youthful. That is why you see lots of anti-aging skin care products with this magical ingredient! 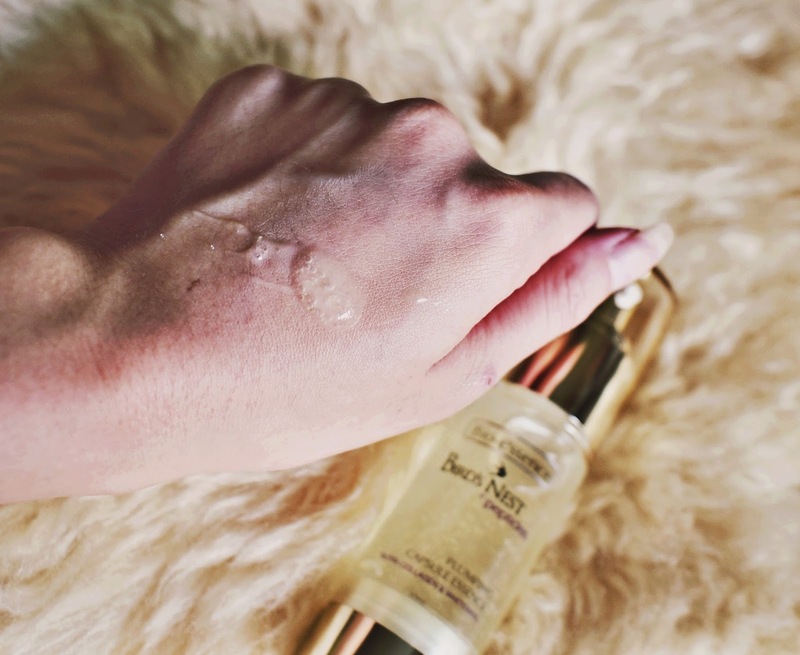 Once the serum is fully absorbed (I like to go in with a gentle massage with my fingers to help the product get absorbed into the skin), I apply the Bio-essence Bird's Nest + Peptides Essence-in-cream . Although this cream goes on slightly richer, it gets absorbed into my skin pretty easily and leaves my skin feeling hydrated for a longer time. I also like that it doesn't leave my skin feeling oily, but really hydrated and well-moisturised. This combines the richness of a cream and treatment of the capsule essence. I can't wait to use these products for a longer time and hopefully i'll see even greater results than what I've seen so far ! From now till 7 October 2015, purchase a Bird's Nest + Peptides Perfect Cleanser with a Plumping Capsule Essence OR Essence-in-cream and you will receive a FREE Yu Xiang Yan Rock Sugar Bird's Nest 150ML (worth $18) at selected Watsons outlets. Thank you Bio-essence for sending these to me, I'm looking forward to looking 35 when I'm 50, HAHA! For more information, visit Bio-essence's Facebook page here.